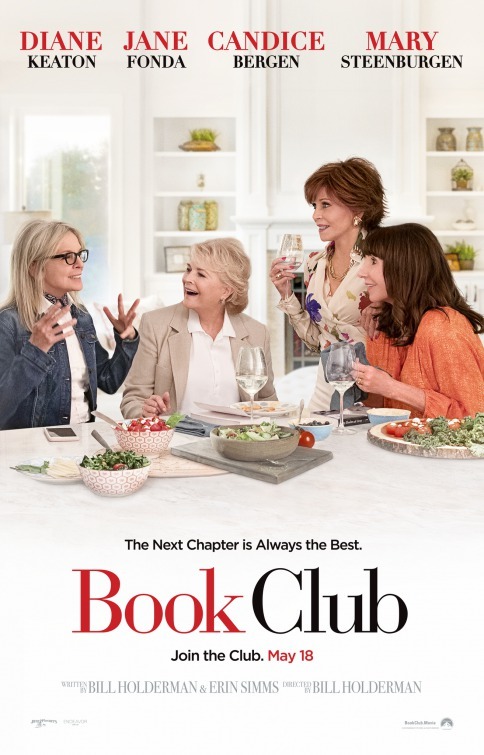 Review: I’m old. Or, at least, I felt old at the 10pm screening I attended near a local college campus for Overlord. The audience was largely college students in their pajamas (or whatever constitutes proper sleeping attire nowadays) and the conversations were about everything from the mid-term election the next day to what their actual mid-terms were going to be about. Driving across town from another screening I was exhausted and not sure why I was subjecting myself to such a late night showing. Mostly I was just praying I wouldn’t fall asleep and have the screening rep catch me with eyes closed. 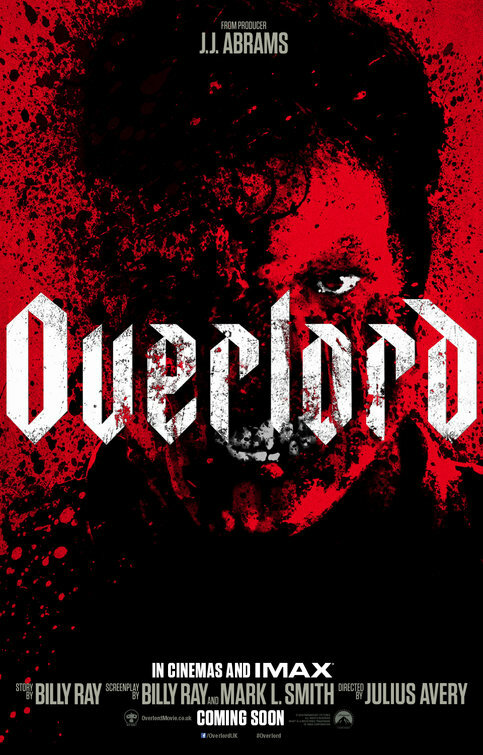 I shouldn’t have been worried because Overlord comes out so guns a-blazing that it would be next to impossible to snooze through this highly effective hybrid of war movie and B-horror flick. 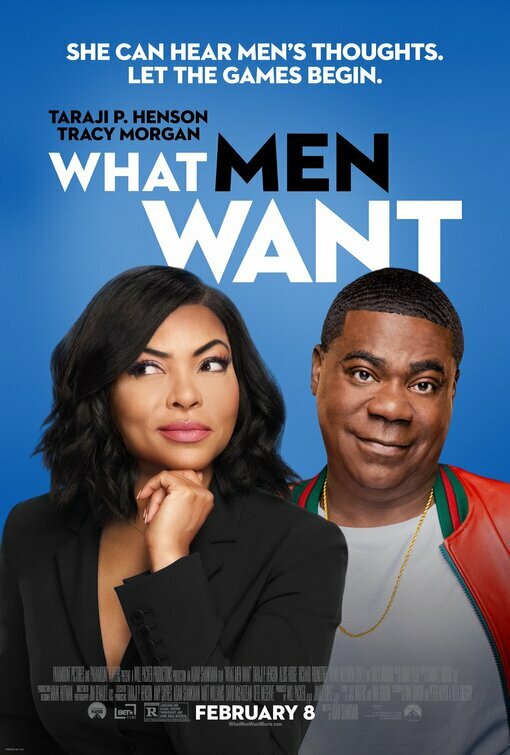 Deliberately disorienting when it intends to be and purposefully focused when it needs our attention, the movie is a neat surprise. With all the mystery surrounding the production of the film I wasn’t sure quite what to expect going in, yet it kept me engaged and on the edge of my seat throughout. It’s 1944 and a regiment of soldiers are being deployed into a hornet’s nest in Nazi-occupied France. Among the gang are the mild-mannered Boyce (Jovan Adepo, mother! ), the hot-headed Tibbet (John Magaro, The Big Short), photographer Chase (Iain De Caestecker, Lost River) and the newly transferred Ford (Wyatt Russell, Everybody Wants Some!). No sooner do they parachute behind enemy lines on a mission to take out a radio tower on top of a church then they come across Chloe (Mathilde Ollivier) who brings them into her village crawling with Nazis. This is no ordinary village, though, and the soldiers will soon find out why the population keeps dwindling. To say more about what happens over the course of one nightmarish evening for Boyce and his fellow brothers in arms would be to spoil the fun screenwriters Billy Ray (Captain Phillips) and Mark L. Smith (The Revenant) have cooked up. I will say it involves disturbing Nazi experiments and the creation of a serum with a powerful impact on anyone injected with it…living or dead. Especially the dead. As the night wanes on and the men try to complete their mission that will help the entire armed forces, they must also outwit a Nazi madman (Pilou Asbaek, Lucy) and not wind up the next specimen for the bizarre trials being conducted in the cavernous underground basement of the church. Director Julius Avery starts things off with a bang, in a sequence that made me recall fondly Steven Speilberg’s opening to Saving Private Ryan. Now I wouldn’t dare to compare the two as equals but there are a lot of parallels on how both films open in absolute chaos before settling in and settling down. The sound level in my theater was cranked up and at times I thought the roof was going to blow off the joint. Avery deftly movies between these action sequences and smaller character driven moments between Boyce and Chloe. Taking the time to give us these insights helps us relate to them more…we get invested pretty quickly in each person we meet which winds up raising the stakes in our rooting for their survival. Leading the cast is Adepo in a strong performance as a solider that has his eyes opened to the horrors of war. Starting off as (literally) not being able to kill a mouse, he gets his sea legs quickly when faced with the nastiness that he finds in the village. I also quite liked Russell as his commanding officer who has already seen enough atrocities to last a lifetime and isn’t as easily spooked as his direct report. He’s gruff and tough but not without common sense. Ollivier is more than a token female and gets her share of time to stand up for herself and younger brother. 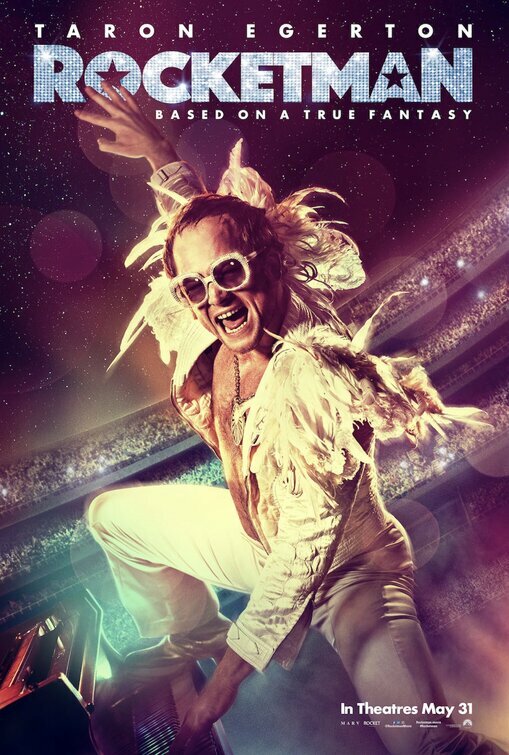 It’s a strikingly well cast movie, from minor roles that are briefly onscreen all the way up to Asbaek’s increasingly unhinged main villain. 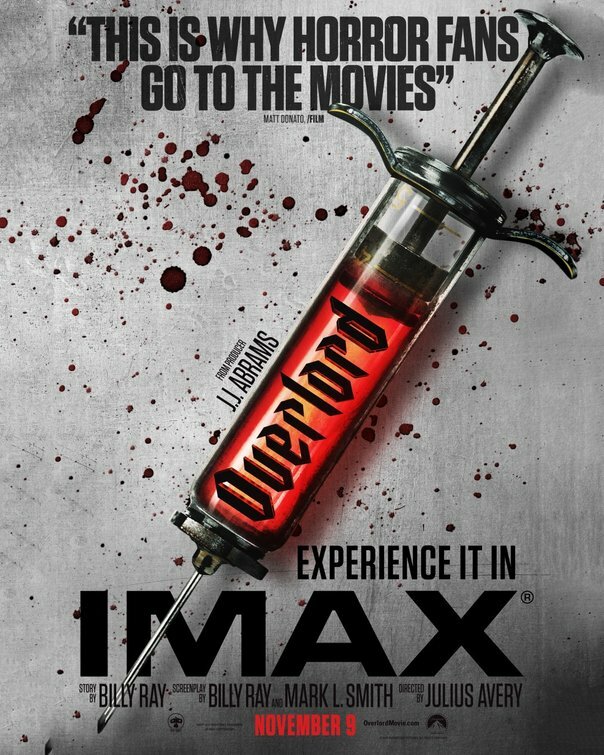 In this time of tentpole films and franchise starters, I also liked that Overlord felt like a self-contained movie. It’s not out to create a series (though it easily could) and doesn’t need to cheapen a fine wrap up by ending with a “that’s not all folks” stinger. There’s no post-credit scene so what you sign up for is what you get – anything more than that can all be worked out later. I get the feeling this is a one and done endeavor and that’s totally fine with me. It’s a strong film with a few good scares that hits all the right notes and would easily be something I’d watch again with friends. Synopsis: An obese attorney is cursed by a gypsy to rapidly and uncontrollably lose weight. Review: Starting with the release and huge success of Carrie in 1976, author Stephen King has enjoyed seeing the profits for numerous adaptations of his work come his way. Studios began scrambling to buy the rights to his work and bring his tales of terror to life which is how we’ve come to have solid titles like The Shining, Christine, Cujo, Firestarter, The Dead Zone, and Misery in our libraries. 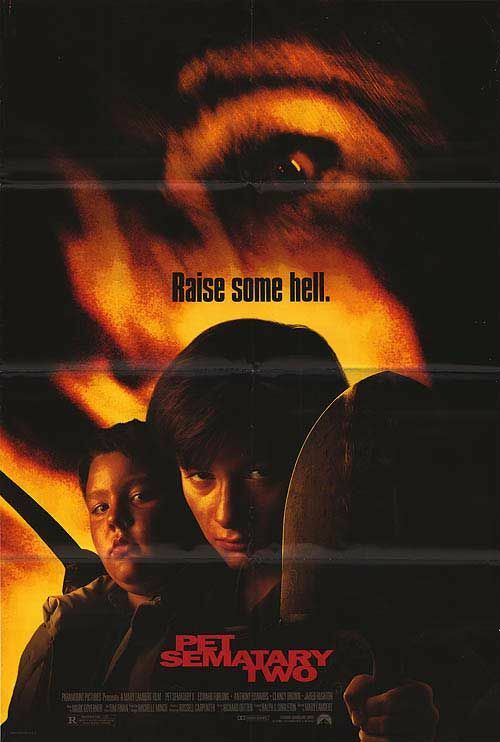 To talk about the good adaptions, you must also talk about the bad and King’s work has produced far more duds than hits…such is the case with Thinner from 1996. 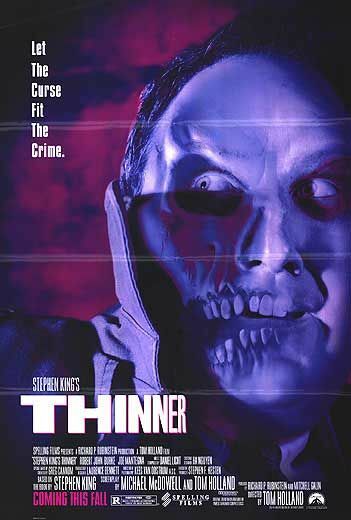 Originally published under King’s pseudonym, Richard Bachman, Thinner hit bookshelves in 1984 and when it was discovered the King was Bachman isn’t wasn’t long before a studio attached themselves to the grim morality tale. 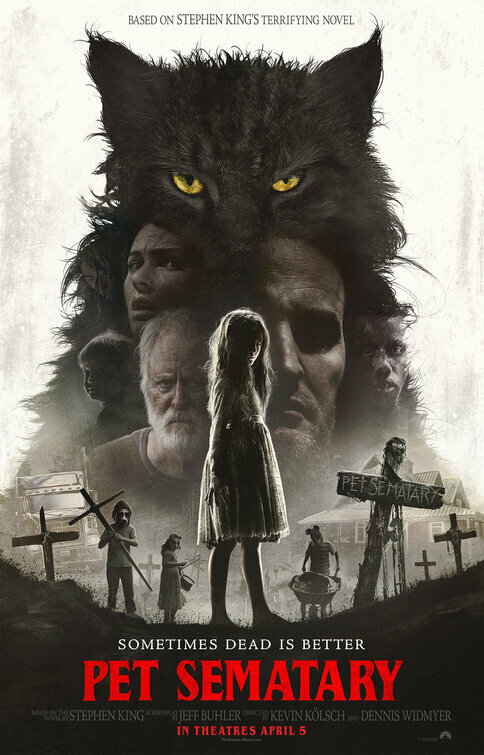 Condensing the 300+ page novel to 90 minute movie, director and co-screenwriter Tom Holland (who also wrote Psycho II and directed Fright Night) removed the, uh, fat from King’s tome and produced a slick but slack horror thriller that is passable entertainment but feels like everything about it was second-hand. When overweight attorney Billy Halleck (Robert John Burke) accidentally runs over and kills an old gypsy woman and then gets off scott free, he incurs the wrath of a gypsy king (Michael Constantine, My Big Fat Greek Wedding 2) who puts a curse and him and others that covered up the crime. Each person cursed has their own personal hell to endure and Billy’s is that no matter how much he eat,s he continues to lose weight at a rapid pace. At first, that’s good news for the man that has tried for years to shed pounds and his beleaguered wife (Lucinda Jenney, Matinee) who has kept him on a strict diet. When the weight loss begins to accelerate, and his friends start dying in horrible ways, Billy must track down the gypsy clan to get the curse reversed. Arguably, there’s a nice concept at the heart of Thinner and had this been given a bit more money and prestige I’d imagine it could have been a sleeper hit. The problem is that Holland never quite figures out is how to make his characters (any of them) the least bit sympathetic so we have someone to be invested in. There’re literally no “good” people to be found, everyone has an ulterior motive to their actions or spits their lines out with such overstimulated venom you have a hard time feeling sorry when they are killed off. It also doesn’t help the leading man is such a bore. Burke had infamously taken over for Peter Weller in RoboCop 3 and even under that heavy costume with his face obscured he managed to overact. He does the same thing here, saddled with a fat suit and unconvincing make-up at the beginning and eventually turning skeletal as he continues to lose fat and muscle. I’m not sure if the make-up did this to him but Burke has this smile/grimace on his face when he’s heavier that is truly unnerving…and not in the way Holland intended. If I’ve forgotten to mention Joe Mantegna (House of Games) up until this point he should count himself lucky. As a tricky mobster client of Billy’s, Mantegna plays up the wise guy role to the point of parody and acts as a silly means to an end in helping Billy connect the dots to the origin of the gypsy curse. If there’s one actor I didn’t mind, it’s the always reliable Jenney who seems to know she’s in a turkey so opts for such a small performance that it has the effect of letting her scene partners look like they’re overacting. Not surprisingly, this was a huge box office bomb but it didn’t stop the King adaptations from coming. It would be three years before The Green Mile would be released and in 2017 there was the one two punch of the remake of IT and the dandy Gerald’s Game for Netflix. 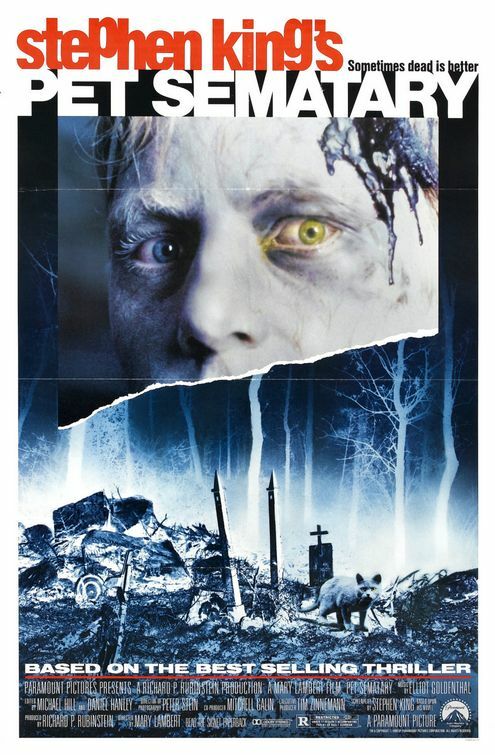 It’s clear the best was behind the King work at that time and while Thinner wasn’t bad enough to make studios think twice about taking a dip in the King swamp it’s prospects of being much better are keenly felt two decades later. Thoughts: There’s a nice air of mystery surrounding Overlord and it’s 100% intentional. 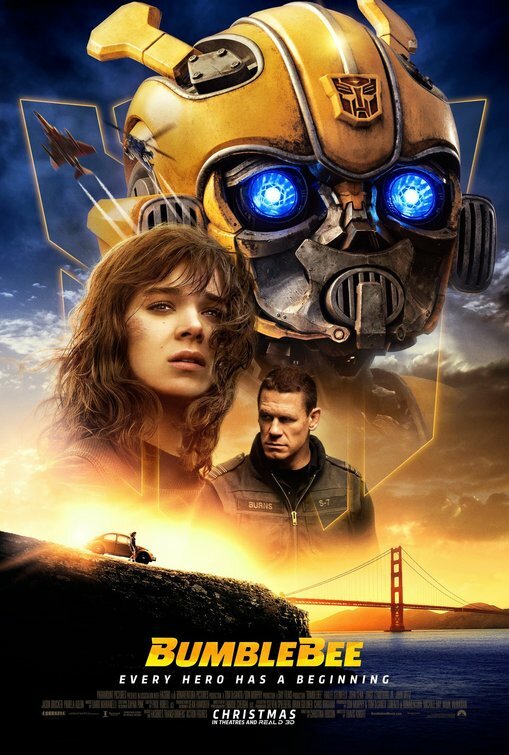 Produced by J.J. Abrams (Star Trek), many people are thinking this is another surprise entry into the Cloverfield franchise but Abrams and Paramount Pictures are in full denial mode. Still, they’ve played this game on us before when releasing 10 Cloverfield Lane and dropping The Cloverfield Paradox onto Neftlix without much fanfare. Whatever it ends up being about, this looks like a bonkers period horror film involving Nazis and zombies and I’m all for it. With a script from Oscar nominee Billy Ray (Captain Phillips) and Mark L. Smith (The Revenant) there’s some prestige already…will this be a slash above the usual zombie warfare?